Lucy Rose will release a new remix album, Something’s Changing (Remixes) via Arts & Crafts on July 6. In the build up to this release, Lucy is sharing two new remixes from the album every fortnight. Remixes by Chartreuse, JAWS, Liz Lawrence, and Fryars are already streaming online, and today brand new remixes from Anatole and Otzeki have been made available. Australian solo artist Anatole has taken on “Is This Called Home”, whilst London based electronic duo Otzeki have taken on “All That Fear”. Something’s Changing (Remixes) is a collection of reworked songs from Lucy’s latest album, Something’s Changing, which was released to acclaim in 2017. True to Lucy’s industrious work ethic, the remixers involved with this album have been carefully handpicked. They’re all either close musical friends of Lucy’s or new musical friends that she’s met over this past year as she’s toured the world. Each artist was invited to take a track from Something’s Changing and rework it in their own unique style. From Fryars to Liz Lawrence, Otzeki to Get Cape. Wear Cape. Fly and many more besides, the project is a celebration of variety and collaboration. 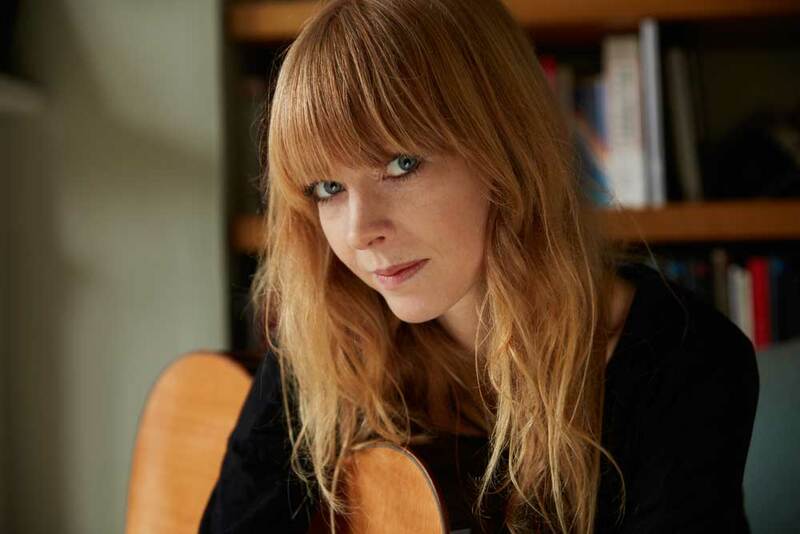 Lucy Rose’s new remix album, Something’s Changing (Remixes), is set for release on July 6 via Arts & Crafts. In the run up to the album’s release, Lucy will be sharing two of the remixes every fortnight. Remixes of “Intro” by Chartreuse and “Soak It Up” by JAWS are already streaming online and today, two brand new mixes have been made available. These are a remix of “Moirai” by Liz Lawrence and a remix of “Second Chance” by Fryars. The remix of “Moirai” comes complete with a video once more filmed by Will Morris and edited by Lucy’s long-term visual collaborator, George Cotterhill. Something’s Changing (Remixes) is a collection of reworked songs from Lucy’s latest album, Something’s Changing, which was released to acclaim last year. True to Lucy’s industrious work ethic, the remixers involved with this album have been carefully handpicked. They’re all either close musical friends of Lucy’s or new musical friends that she’s met over this past year as she’s toured the world. Each artist was invited to take a track from ‘Something’s Changing’ and rework it in their own unique style. From Fryars to Liz Lawrence, Otzeki to Get Cape. Wear Cape. Fly and many more besides, the project is a celebration of variety and collaboration. Lucy Rose will release a brand new remix album, Something’s Changing (Remixes), on July 6 via Arts & Crafts. The album is a collection of reworked songs from Lucy’s latest album, Something’s Changing, which was released to acclaim last year. True to Lucy’s industrious work ethic, the remixers involved with this album have been carefully handpicked. They’re all either close musical friends of Lucy’s or new musical friends that she’s met over this past year as she’s toured the world. Each artist was invited to take a track from Something’s Changing and rework it in their own unique style. From Fryars to Liz Lawrence, Otzeki to Get Cape. Wear Cape. Fly and many more besides, the project is a celebration of variety and collaboration. Coinciding with today’s announcement, the first two tracks from the album are now available online. These are a remix of “Intro” by Chartreuse frontman Mike Wagstaff, and a remix of “Soak It Up” by JAWS frontman Connor Schofield. The Chartreuse remix comes complete with a video which was shot in Fiji and then edited by George Cotterhill who Lucy previously worked with on the official video for “Is This Called Home”. In the run up to the remix album release in July, Lucy will be sharing a selection of tracks from the record along with additional video footage shot on the road over the past 12 months, so stay tuned for more to come.